Muy Buenossubmitted by Paula P. - Jul 28, 2012 |Recommended: YesQue se muden aqui. response from property - Jul 30, 2012 Estamos contentos que les guste vivir aca. 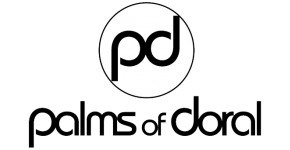 Les invitamos a tambien colocar su comentario positivo en nuestra pagina de Facebook "Palms of Doral Apartments" Gracias ! La Gerencia. Excellent staff , great human quality and superb service .submitted by JANIEL V. - Apr 04, 2012 |Recommended: YesGreat place , the staff its the best in what they do and extremely helpful, care free living . We love living here!submitted by Sheila - Apr 02, 2012 |Recommended: YesNew to Miami, we searched numerous communities near FIU and toured nearly all the rental communities in Doral. I am still so happy that we made the choice to move here. The move in process was simple and the staff very accommodating. This is a quite community. It's a perfect little retreat from the hustle and bustle of Miami. I love our unit because I have lots of privacy. When entertaining guest, I can retreat to our room upstairs to put the kids to bed if company stays late. Whenever we need anything changed such as light bulbs it's usually taken care of within a few days or less. The amenities here are so nice. We considered renting in a community that included the Doral Park Country Club, however, I feel that the amenities here are more modern and luxurious so we do not need the country club. One of the things I like best about living here is the staff. Michelle and her team plan events for the residents and our children! It's a great way to meet neighbors and just have fun here at home. Overall, I am so glad we are here! Diligence & professionalism in all staff and maintenance people, cozy site, best location in Doralsubmitted by NEFTALI T. - Feb 03, 2012 |Recommended: Yesit is just an awesome and quiet neighborhood. So far my neighbors in my surroundings are kind and educated. Very Good!submitted by Pedro H. - Nov 30, 2011 |Recommended: YesIt is a great place to live and raise your family! response from property - Dec 05, 2011 Thank you so very much for your nice words!! Please let us know if we can make your stay more pleasant !! Management Team Palms of Doral. I like living here, however, the parking is getting difficult.submitted by Helen M. - Nov 28, 2011 |Recommended: YesNice place to live. Management is very approachable, they are all very friendly and helpful. Great Customer Service!! !submitted by Fernando C. - Nov 27, 2011 |Recommended: YesIt is the best in Doral. Great personal in the front, they people there are reaaly nice and understanding with me. We really love living here. Love it!submitted by Nathaniel M. - Nov 04, 2011 |Recommended: YesGreat location and awesome grounds. Very well kept up and best property management company! Nice place, good service, Natalie is awsome.submitted by Hermes S. - Nov 01, 2011 |Recommended: Yesquiet family oriented, great facilities good neghboorhood, close to everything great experience. I think your staff is amazing!! !submitted by Fernando C. - Oct 10, 2011 |Recommended: YesI have lived here for almost 1 year and I love it here. Your staff is amazing, all the staff has been always mor than helpful and willing to help. Everything is great . Lately I have had an issue with parking.submitted by Helen M. - Oct 03, 2011 |Recommended: YesGood place to live. We are extremely happy to live here. So far all our experiences have been positive and the staff is great!! !submitted by Jorge D. - Sep 11, 2011 |Recommended: YesLike a vacation in which you get to stay!